An attractive female black ops soldier who, to paraphrase, isn’t the type to wear a dress is out for revenge after she is set up during a mission. It sounds like a video game and is about as exciting as watching your nephew play one. The buzz surrounding this film centers upon its lead, real life MMA fighter Gina Carano, an obvious non-actress whose lack of formal thespian training isn’t particularly distracting. Her profession allows director Steven Soderbergh to feature uncommonly brutal violence against a woman that is initially rather shocking and certainly not commonplace in a Hollywood film. But she can defend herself so everything is okay; too bad the fights are about as standard as they get. What else…the cast includes the likes of Ewan McGregor, Antonio Banderas, Michael Douglas, Channing Tatum, and Michael Fassbender. The characters don’t feel real, but they’re probably not supposed to; Soderbergh certainly isn’t taking things very seriously. For example, Carano arrives to confront government official Douglas who, instead of greeting her with a simple “Hello”, immediately launches into some truly ridiculous dialogue. “In the auction business they have a thing called the halo effect…” he announces as a tumbleweed blows by in the background. Soderbergh predictably combines his indie sensibilities with standard action conventions so expect some dialogue-free meditation, natural sound, jump cuts, unnecessary black and white sequences, and an excessive amount of cutting. The Spy Hunter-like score is pretty snappy, but none of these things do a good movie make. Action fans should be pleased, but I saw the film a matter of hours ago and have already forgotten most of it, which may be apparent in this review. 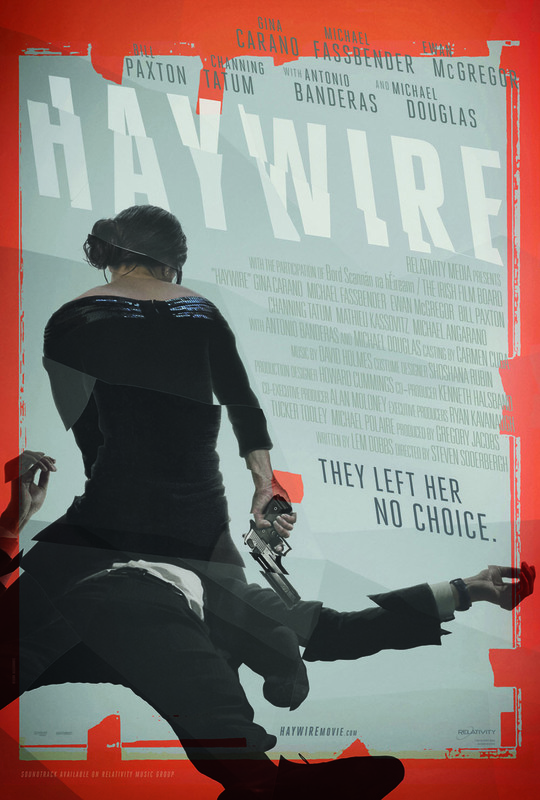 Haywire opens today in Philly-area theaters.